Today, space is a veritable hotbed of science, and we've already posted a good number of space science posts. There's certainly no shortage of Things We Don't Know about space, but there's also a lot of science that takes place in space. So this year, we're offering a unique opportunity to anybody who'd like to try their hands at science writing. Write an article about science in one of the below categories, and TWDK will publish the best throughout World Space Week, October 4-10. Entrants can be scientists, students, school pupils or just members of the public - we'll consider anything by anyone, provided it's accurate, well written, about ongoing research and related to space! As an added bonus, we'll do our very best to review early submissions and provide feedback, so authors can improve their article before the deadline. Looking Up - science connecting to space but done on here on Earth. This includes astronomy, the development of new rocket engines, and much more. Looking Down - science done in space, looking down at the Earth. This includes weather satellites and environmental monitoring, or even archaeology. Floating Around - science done in space, without looking down. Astronauts on board the International Space Station have conducted a huge number of experiments, from psychology to biology to plasma physics and crystal growth. Getting Outta Here - science done away from the Earth. NASA, ESA, RosCosmos and JAXA have all sent probes into deep space to conduct science well away from home. Upcoming missions from Europe include ExoMars, and LISA Pathfinder - and NASA is planning many more. If you'd like to know more about what's going on in World Space Week, there's a full list of UK events on the British Interplanetary Society's website. If you're not in the UK, you can find out who your national co-ordinator is here. Even though autism undoubtedly has biological underpinnings and the brains of those with autism may share some form of common structures (neuroanatomy) or function (neurophysiology), we still don't have a good working definition for it - or at least, nothing that everyone can agree upon. In the field of cancer research, even though scientists disagree about the primary causes of a tumour developing, they can all generally agree that uncontrolled cellular growth is a good working definition. If you see a tumour, you know it's following some sort of poorly-regulated growth process, even when it's benign (non-cancerous). Which makes finding causes of tumour promotion considerably easier. If you know the end result in terms of cell biology, that limits the number of variables you're searching for as instigators of that process. But not so for autism. Even though the well-known psychiatrist, Leo Kanner, described the condition well over 70 years ago, the only thing people can seem to agree upon is a behavioural definition. (And even still, we argue over that!) We have done so much research and have published so many papers reporting correlations with things that may influence the occurrence of autism, ranging from the presence of one or more other disorders or diseases, down to associated genes. But unlike cancer, we have no general definition for what defines autism at the level of the cell nor at the level of the brain. We're still wandering around our research somewhat blindly. Ultimately, that means we study just about everything that appears to have an association with the condition without much understanding of whether the relationship is causal or simply correlational in nature. 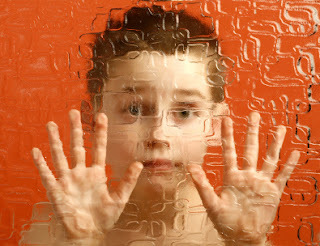 An excellent example of this comes from studying autism genetics. Over 3,000 genes have found to have minor-to-strong association with the condition, both those which currently have no known cause (idiopathic) and conditions which are characterized by the association of several clinically recognizable features which tend to go together (syndromic), such as Fragile X Syndrome. While all roads may have once led to Rome, not all genes lead to autism. Those thousands of genes represent at least 12% of the genes within the human genome, a staggering proportion. It's highly unlikely that all or most converge onto a single behavioural trait. 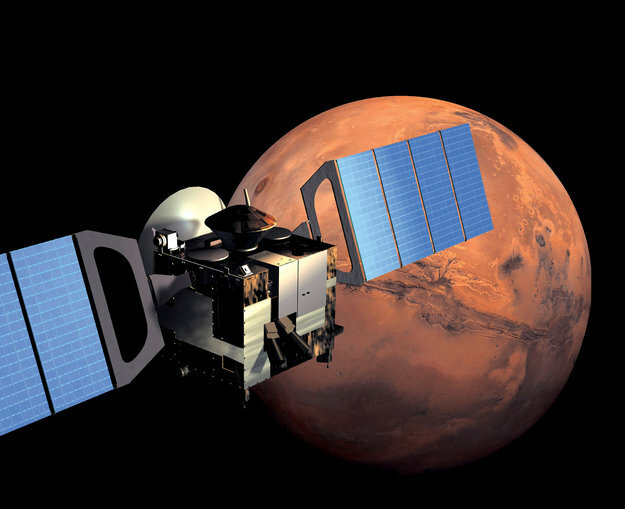 At the beginning of June, the European Space Agency (ESA) celebrated the 10 year anniversary of the Mars Express mission. The spacecraft, launched in 2003, has had ten successful years of operation and has resulted in the publication of over 600 scientific papers. To help mark this occasion, our intern Cait interviewed Olivier Witasse, the mission's Project Scientist, about some of the key discoveries the spacecraft has made and what the future of the mission looks like. "...from what we have been discussing with the scientists over the last year, there is one result which I think is really on top of the others - the discovery of the so called hydrated minerals." Before the discovery of hydrated minerals, scientists at ESA were expecting to find carbonates on what may have once been a sea bed. Finding carbonates would imply that there were once large oceans on Mars. Carbonates can form in one of two ways - a purely chemical reaction where carbon dioxide in the atmosphere is dissolved by the surface water of an ocean or as a result of the shells of past marine creatures. If the oceans were absorbing atmospheric carbon dioxide then further reactions with minerals (i.e. magnesium, calcium) in the ocean would produce carbonates which would settle onto the ocean floor. The atmosphere on Mars is mostly carbon dioxide, so if there were once oceans on Mars we would expect the formation of these carbonates. The shells of some marine animals also contain carbonates, so when the creatures die, their shells sink to the bottom of the ocean to form carbonate deposits with the possible preservation of fossils. These carbonates would remain even when the ocean faded away.